Onto the next stops in our Italian adventure! 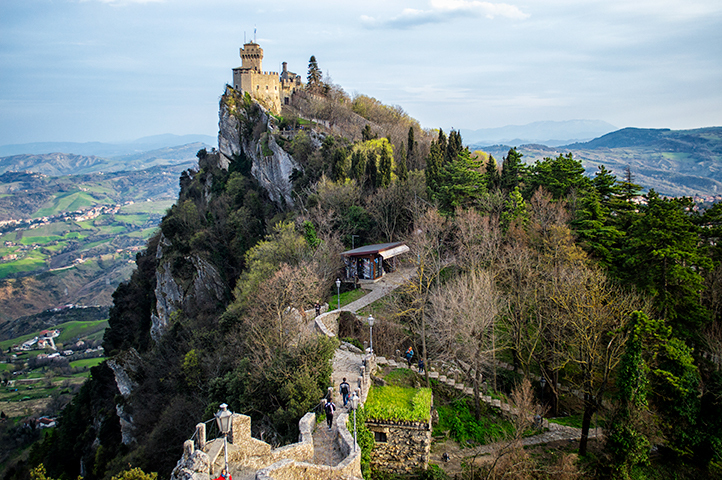 We left the captivating city of Florence and Italy altogether as we crossed the border into San Marino. San Marino is an interesting little country, being listed as the 5th smallest in the world, but being one of the richest and oldest in the World despite it’s struggling history. Hurray for the little guys! (maybe Napolean left San Marino alone in his takeover of Europe because he felt a personal connection). San Marino is governed by 60 elected council who choose 2 heads of state from different political parties that have a short 6 month term. Talk about keeping it fresh and diverse! Wish our Country did that. Aside from the little things we learned about San Marino did I mention how small this place is? To give you a mental image, San Marino is roughly the same size as Manhattan, NY. Perhaps it’s the size and the age of the country that brings 3 million tourists a year to it. We joined those 3 million and spent our stay by visiting the most intriguing landmark in the country, the three peaks: Montale, Guaita, and De La Fratta. Atop these three peaks overlooking the city are three majestic castles with an equally majestic view they watch over. We ended up staying late in San Marino so we stopped to rest at a local’s BnB. Tuscany region Italians have the coolest yards, always vast fields filled with fruit trees and all kinds of plants. Our host told us we were welcome to pick some of the fruit from their trees and I happily complied. I may have picked a few more than they were expecting though. On the way to San Marino we had stopped in a little commune in Italy called Poppi. There we walked around the humble Castello dei Conti Guidi (Castle of the noble family of the Conti Guidi) and through the deserted cobblestone roads. I was really loving the authentic small towns that we were coming across on our Italian roadtrip! We spent our Easter festivities in the outskirts of Rome waiting to pick up Pablo’s mom, TerryLynn, and friend, Vicki, from the airport. Without meaning to we’d planned to be in one of the most interesting cities during Easter. We started the day in Assisi visiting the Rocca Maggiore, an expansive castle, and the beautiful Basilica of St. Francis. 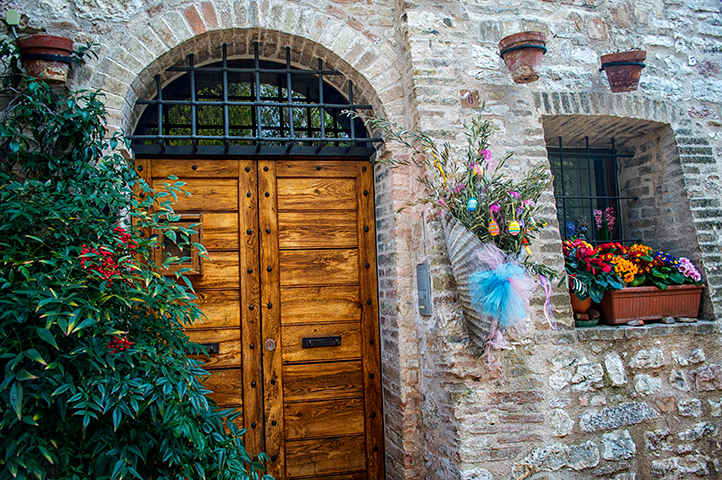 The streets were adorned with colorful baskets covered in Easter eggs and Easter wreaths everywhere. I felt like it was the perfect place to be, with the stone houses and wooden doors it was like we were in Jerusalem during the time of Christ. The weather was warm with blue skies and sunshine, a perfect Spring day. Regretfully though, we had to leave Assisi and continue our route. 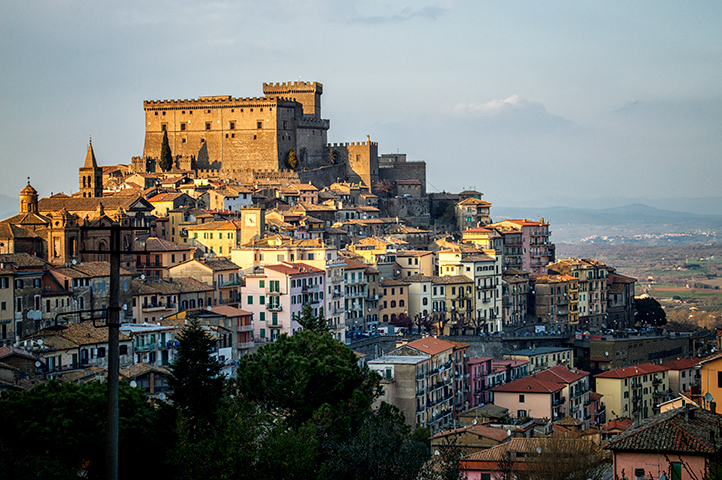 We traveled closer to Rome, stopping in the Province Bracciano to visit the Castello Orsini. We witnessed even more Easter celebrations as we walked the streets crowded with locals deep in boisterous conversations (very interesting to hear so much chattering in a language I don’t understand at all) and hanging posters of the Pope. We ducked into a pastry and coffee shop where the scene was very similar, everyone sitting in groups talking over their drinks and finger foods. As we used the WiFi to try and find a place to stay the night I was entertained in people watching and drooling over the Easter treats. It seemed a common tradition to buy large chocolate eggs (some big enough for me to fit in) that had “Buona Pasqua” written in icing and topped with bows. As I watched several locals coming in to buy an egg I imagined it was their gift to their dinner hosts and thought it was a fun tradition that I may want to try. We had a few pastries and then walked across the street to order a pizza that came in a rectangle shape and ANY ingredients we wanted (Italy is the best:)). The day had quickly passed and we headed into the night to our next place to sleep. 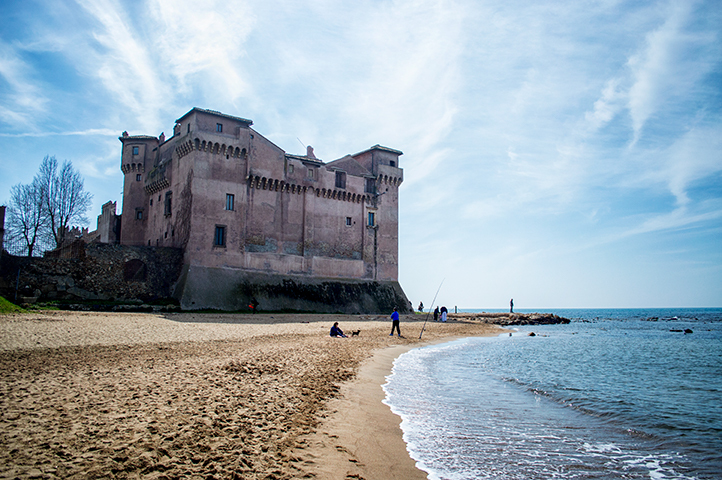 It was the day we would pick up TerryLynn and Vicki, but first we made one more stop at the Castello di Santa Severa. The Castle in itself was beautifully built but not too unique. It’s location however is what I loved about it- it sat right by the water and looked to me like Prince Eric’s castle from the Little Mermaid. I could definitely live there. We headed to the airport, picked up Terrylynn and Vicki. Now onto the next stop in our Italian roadtrip- Naples! 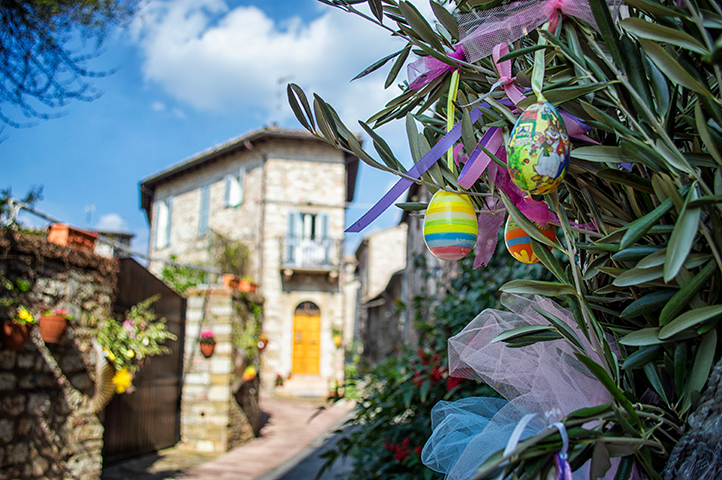 Tuscany and San Marino for Easter was exactly what we needed, where would you want to spend Easter?